I have always found Paris beautiful but never quite right up there with New York City, my favorite city. But a recent spring break to the City of Love has reignited what has been dormant love affair with this gorgeous place that is the epitome of all things fine, luxurious, extravagant, cultured and just simply tres chic or, as the French would say, has that Je ne sais quoi. 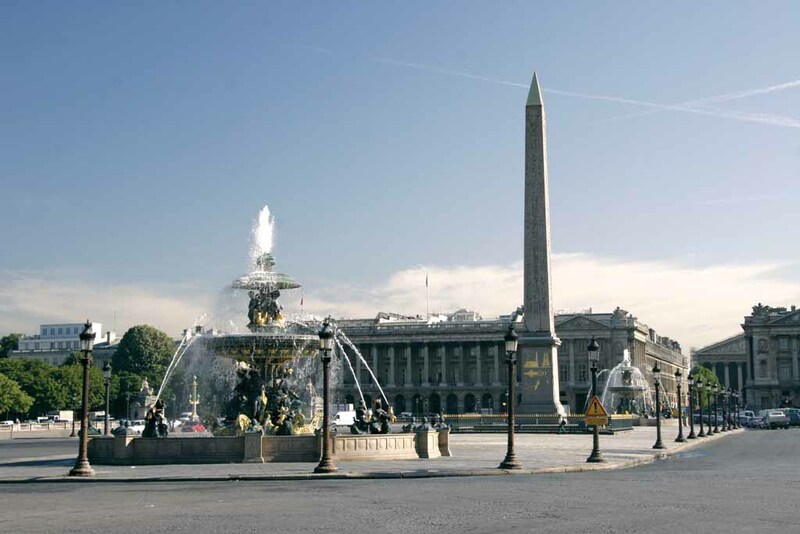 When I first visited Paris almost two decades ago, I remember walking past the majestic Hotel De Crillon, strategically located at the equally imposing Place De La Concorde. Without even stepping into the historic building, I knew that this must be a grand and expensive hotel – its grandeur permeated through its Neo-classical exterior. I told myself that one day I would stay at this magnificent hotel. Along the way, the ‘old fashioned’ hotel gave way to the trendy and charming boutique hotels, and I shelved the idea of staing in the former – until I came of age and wanted to return to the allure of nostalgia and all things classical and traditional. 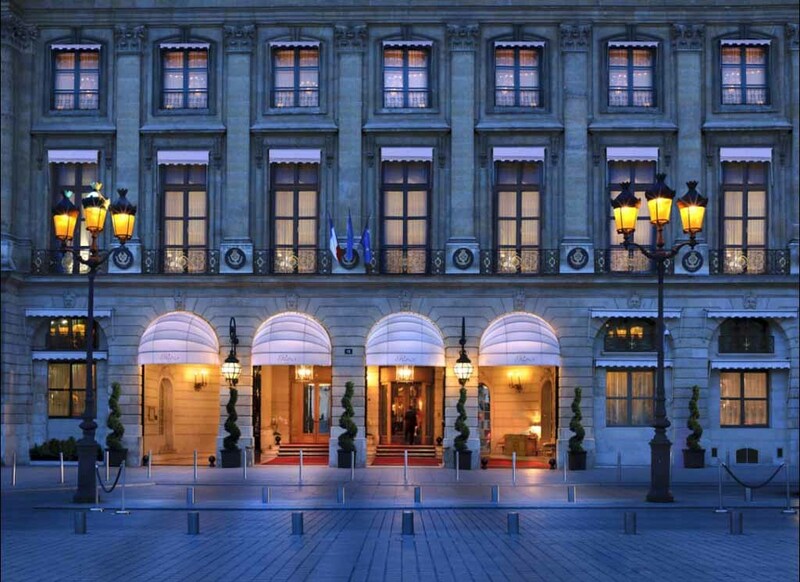 But, alas, Hotel De Crillon was closed for a major overhaul, with a change in management (its now under the Rosewood group). Today, what used to be the grnade dame is a modern lady who still embodies the foundations of its glorious history – an elegant juxtaposition of contemporary finishes against classical bones, topped off by 21st century services that are respectful of time-honored traditions. There was no doubt that De Crillon will be the hotel of my choice during my most recent trip to Paris, and it certainly did not disappoint. It is designed to provide guests with all the comforts that a well traveled jetsetter will expect, from an on site hair salon by celebrity stylist David Lucas to a comprehensive spa (Sense Spa, a Rosewood spa) that offers a wide range of pampering treatments, including a selection of traditional French beauty rituals that incorporate products made from local ingredients. An indoor pool with glass ceilings to allow natural illumination, and an all day cutting-edge fitness center round up the impeccable wellness arm of the hotel. 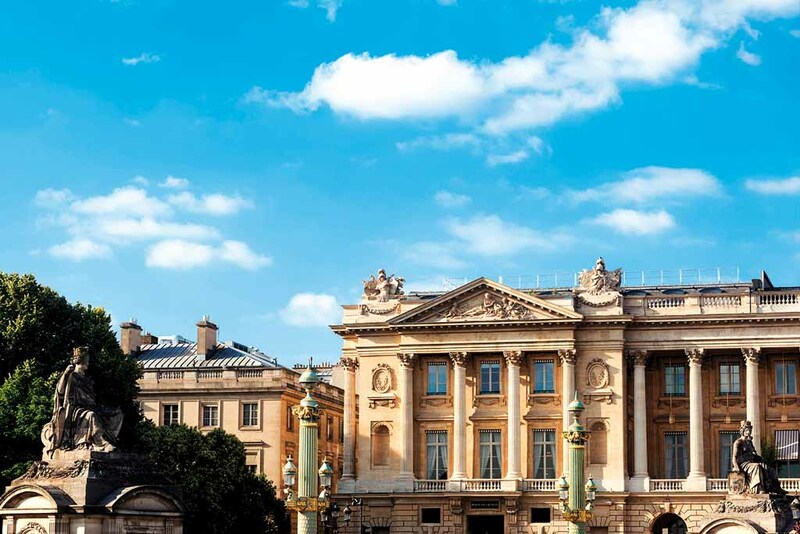 But the real crown jewel of the newly renovated Hotel De Crillon is the well-kept Parisian secret: The hidden haute gourmet restaurant, L’Ecrin, by chef Christophe Hache, which was recently awarded one Michelin Star. Nestled in the heart of the hotel, its entrance is so discreet that it took me a few days to notice that there’s perhaps something going on behind those mirrored doors in the opulent tearoom, Jardin D’ Hiver. I came to a point when I could not contain my curiosity any longer. As I saw well-dressed guests walking through those doors, I had to ask the staff, What’s in there? Perhaps I should have done more research on the hotel before I booked a table. Unbeknownst to me, a guest at the hotel, an excellent haute French restaurant was hidden right in the Hotel. I was persistent in getting a dinner reservation, pleading endlessly for a slot, which luckily came after a last minute cancellation. (I guess being a hotel guest also helped.) I had my chance at savoring this extraordinary dining experience, where no detail was overlooked, from the customized table and glassware to the exquisite tasting menu, which was best described by the chef as “readable, seasonal and flavorful”. One cannot speak of haute French cuisine without mentioning Pavillon Ledoyen, one of the oldest and most established restaurant in Paris (currently 31st on the San Pellegrino World’s Top 50 Restaurants list), located just a stone’s throw away from Hotel De Crillon, in a small square garden, near Champs-Elysées. Chef Yannick Alleno has helmed the establishment since 2014, has very recently opened a sushi bar, L’Abysse, on the ground level of the two-storey historic pavilion. Chef Alleno won 3 Michelin stars for Ledoyen within his first year with them. As a member of the prestigious Relais & Chateaux, one can expect an exceptional dining experience at the Ledoyen, especially with a posh dining room with original heritage frescos and wall lined with windows that overlook the garden. Seasonal ingredients heavily influence the menu. I recommend the tasting menu, with the accompanying wine pairing menu, as the best way to experience Alleno’s culinary vision for Ledoyen. We view a city differently as we revisit in various stages of our lives. What we want and look out for as a student will be very different from when we gain economic independence and start exploring the world with seasoned eyes, refined through years of travel. 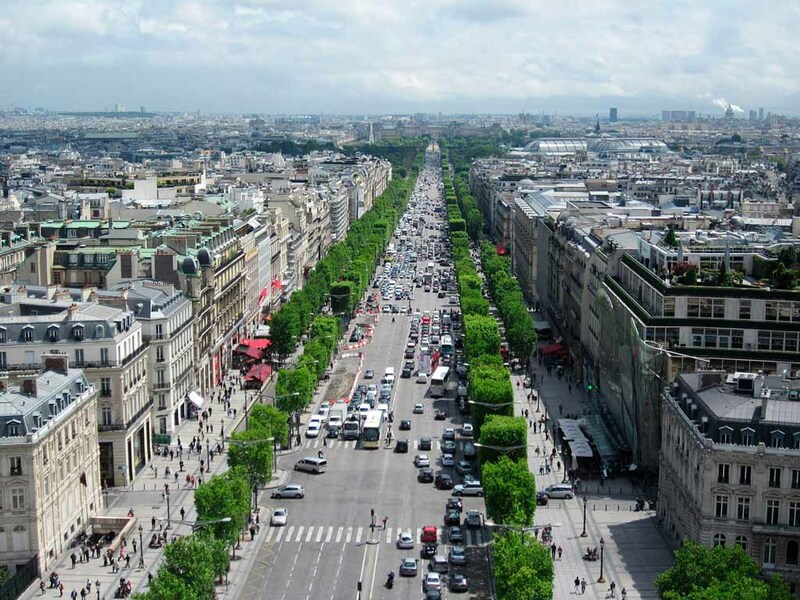 I remember strolling along the fabled fashion boulevards like Avenue Montaigne, Rue Faubourg Saint Honore, and Champs-Elysees as a wide-eyed ingénue. I thought back then of haute couture as belonging in a museum, something one reads about or see in an exhibition but never really thought of as a possible possession. Luckily, through some connections in the fashion industry, I was given the rare privilege of visiting the haute couture atelier of one of the biggest Houses in fashion. It was truly surreal walking through the doors and up the stairs where fashion history has been made and is still shaping and influencing fashion today. The New Look, if you will. We were ushered into an elegant room where pieces from the most recent haute couture collection (Fall-winter 2018) were on display. One can examine up-close the exquisite creations that line the racks, and fantasize about owning one of these unimaginably stunning gowns and wonder which upcoming function will be worthy of these creations that can easily cost six figures in Euros. One of the most common occasions for such gowns is of course for weddings, that once in a lifetime experience that truly calls for a one-of-a-kind gown that befits the 0.1% of the elite high fashion clientele. A sketchbook was presented to us with pages of illustrations on the various wedding gown designs that clients can choose from and modify (slightly) to their preference. That was just the preliminary stage. Being haute couture, everything is made to measure and no details would be left out. Once the design is finalized, the client’s measurement will be taken and a mannequin will be made according to the exact proportions for the seamstresses to work on. At least two to three rounds of fittings will be required before the finished product is elegantly presented and shipped to the owner. The process takes an average of four to six months from start to finish. Clients can choose from any collections, including vintage ones from the 1950s etc. When I visited the Atelier in early June, the next haute couture show (Spring Summer 2019) was just around the corner (in July), and many areas of the House were out of bounds, even for the team, as preparations for the new collection were shrouded in secrecy. Such is the secret world of haute couture. 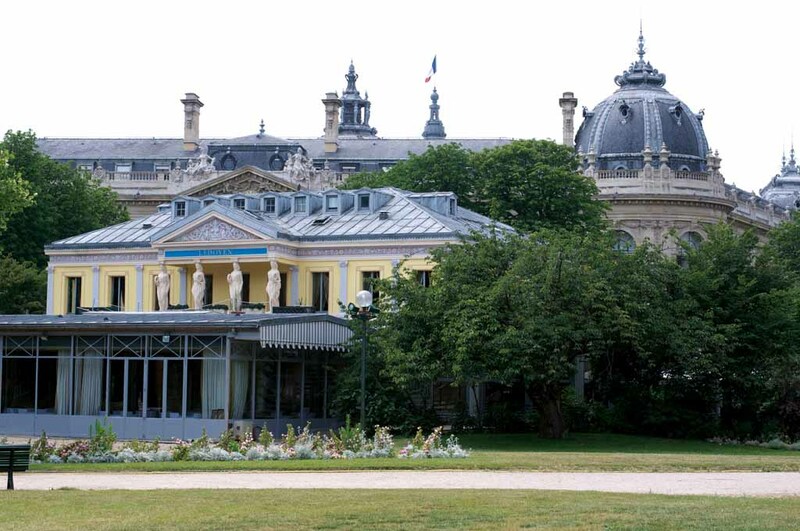 In the world of high fashion, one name is synonymous with it, Chanel, and in Paris, no other hotels is as closely associated to Coco Chanel as the legendary Ritz Paris, where she famously stayed from 1937 to 1971, and all throughout World War II. Like De Crillon, Ritz Paris recently underwent a major refurbishment, and there was no better way to reopen it than with a Chanel fashion show. The Chanel Ritz Metiers d’Art collection (Pre-Fall 2017) was presented in December 2016 at the Ritz Paris’s gilded L’Espadon, which is a lovely place for Sunday Brunch – Chanel tweed suits optional! I could not agree more. There is indeed something alluring about revisiting Paris through the bygone era, a time when opulence and tradition were de rigueur. The Paris that artist romanticized about and earned for itself the title City of Love. My favorite story of Paris is the one told by Gwyneth Paltrow. When her beloved late dad, Bruce Paltrow, brought her to Paris for the first time, he told her “I want you to see Paris for the first time with the man who will always love you”.